My interest in botanical art began a long time ago in my teens when I first discovered Albrecht Dürer’s amazing painting ‘Tall Grass’. 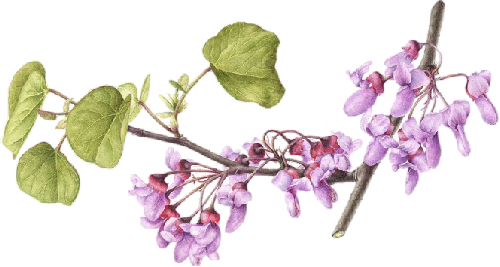 However it wasn’t till 2006, after a career in journalism and copywriting, that I came to botanical art through a birthday present of a two-day course to study illustraton. I realised then how much I enjoyed painting plants and that this is what I wanted to pursue as a career. Two years later I graduated from the English Gardening School at Chelsea Physic Garden with a diploma in botanical illustration. Since then I have exhibited with the RHS, gaining a Gold medal in 2010 for my series of paintings “New Trees”; in New York in 2011 with the American Society of Botanical Artists, where my painting of a Eucalyptus received an Honourable Mention; and in 2013 at the Hunt Institute for Botanical Documentation in Pittsburgh. In 2009 I was invited to become a member of Chelsea Physic Garden Florilegium Society and have so far contributed four paintings to the collection. 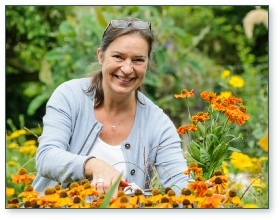 Started in the 1980’s, this group of internationally renowned artists is engaged in illustrating all the plants in the Gardens, to create a permanent record of botanical accuracy and artistic merit. I have also contributed three paintings to the Transylvania Florilegium presently being created under the aegis of HRH the Prince of Wales’ School of Traditional Arts. On a more regular basis I paint coloured Plates for Curtis’s Botanical Magazine, a quarterly publication first printed in 1788 by Kew. 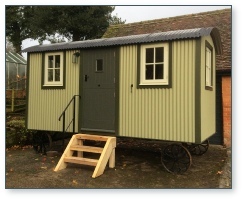 My studio is a converted shepherd’s hut in the garden of my home in Wiltshire, where I work in the traditional manner using watercolour on handmade paper – and occasionally vellum.